Under the Lo and Behold Group, Tanjong Beach Club is a restaurant, bar and club situated at Sentosa. A cosy getaway from the city with a sea view and cool breeze. 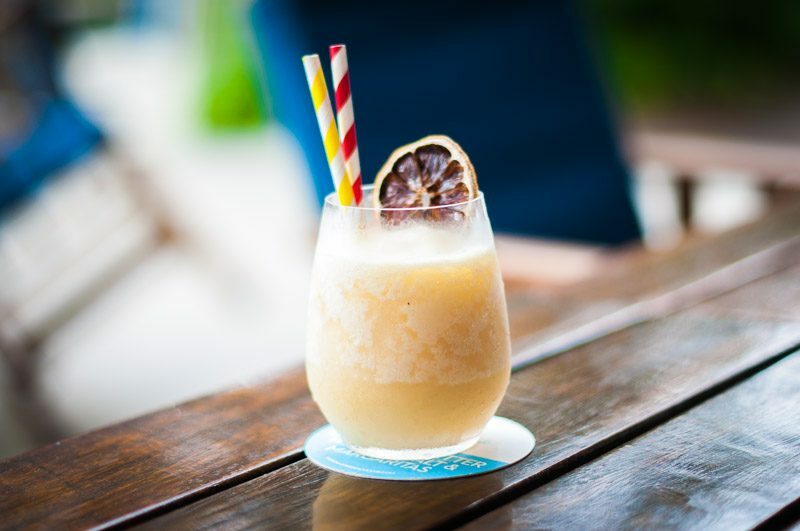 Opened in 2010, Tanjong Beach Club is finally seeing a revamp in their food and beverage menu that are moving towards seafood-centric dishes, alongside a list of craft cocktails. We got down to trying some of these dishes whilst enjoying the view in front of us. 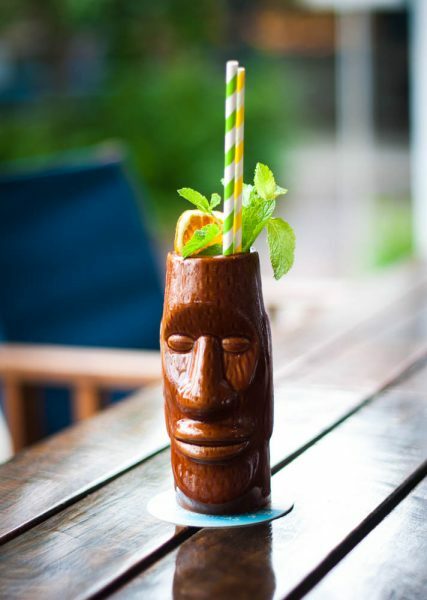 The Resting Peach Face ($21) cocktail comes in a tiki-looking holder, with a sleeping face matching what the title suggests. Instead of the usual rum-based cocktail, it is a mixture consisting of beefeater gin, vanilla and orange syrup, ginger beer, peach, lime, blood orange and cranberry sorbet, plus an garnish of fresh mint leaf. The taste of gin is stronger, overall refreshing and not so sweet. Rum My Lemons ($21) is a concoction of Havana three year Rum, vanilla and orange syrup and yuzu lemon sorbet. It is citrusy on the palate and great for those who enjoy their drink a tad tangy. Very refreshing on a sunny day. After taking a few sips, we were ready to indulge! 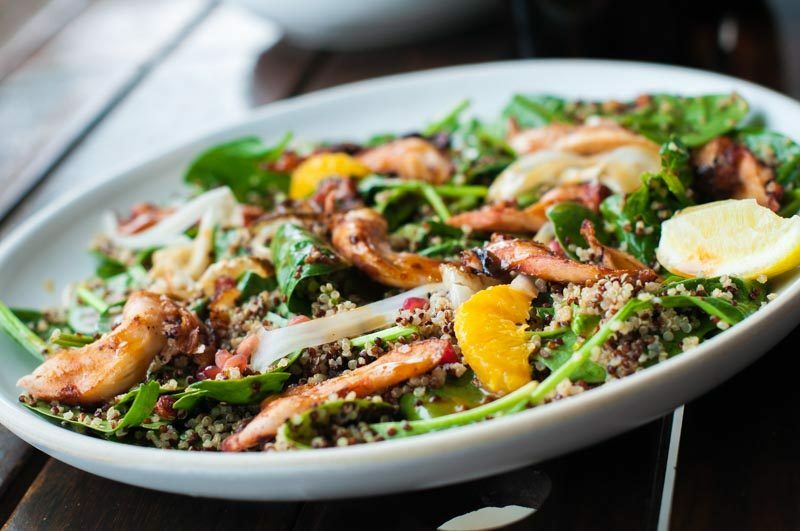 The Barbecued Octopus Salad ($24) is a visually appealing dish filled with a myriad of colours. 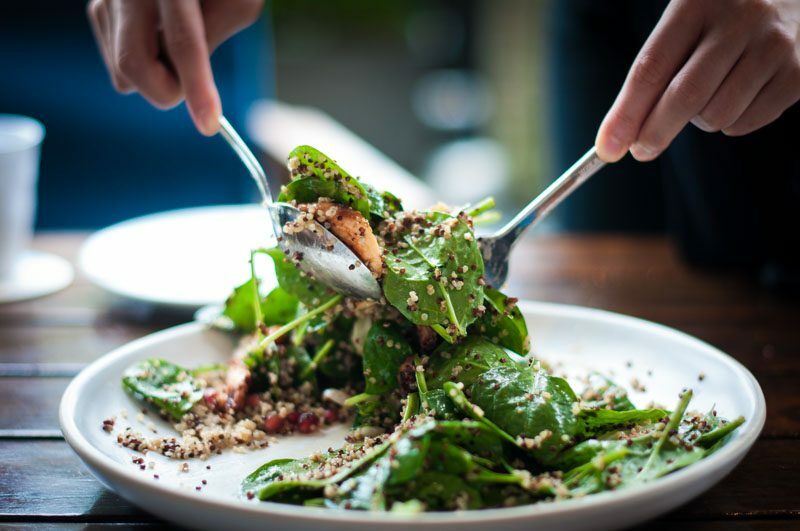 The char-grilled octopus and leafy baby spinach is drizzled with sherry vinaigrette, pomegranate, orange slices and fried quinoa. It is a mix of textures and great for sharing between two to four pax as the portion is huge. 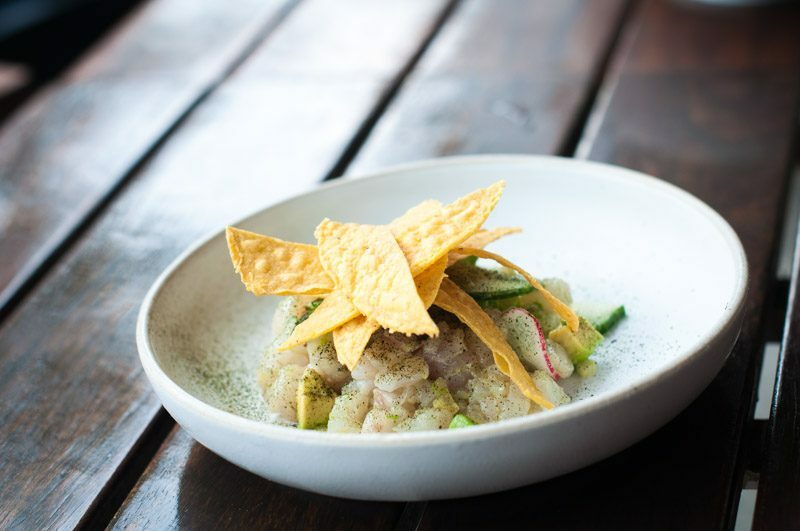 Slightly unique, which is also one of their signature dish, is the Snapper Ceviche ($23). The snapper is not cured entirely so as to create a better mouthful experience. While the surface remains chewy, the inside is tender, liken to the texture of sashimi. 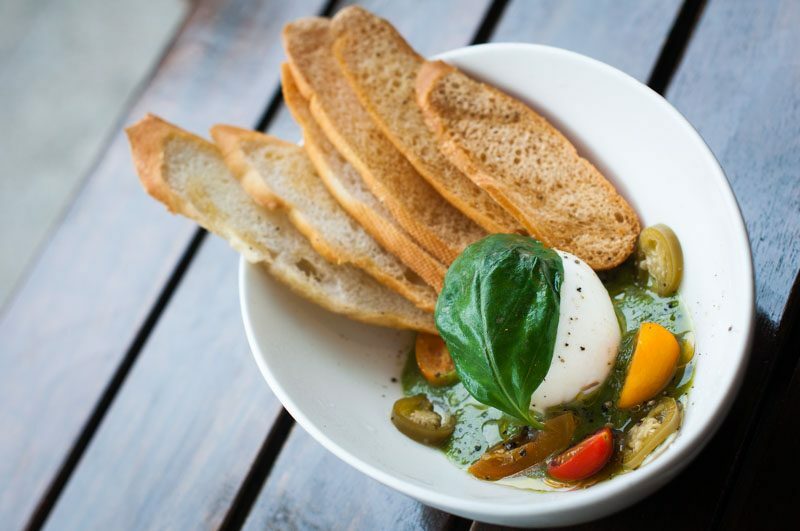 For cheese lovers, the Burrata ($21) is flown in from Italy has a firm texture with a creamy inside. Pair it along with the the crispy crostini, Jalapeno and basil salsa verde for a spicy kick. 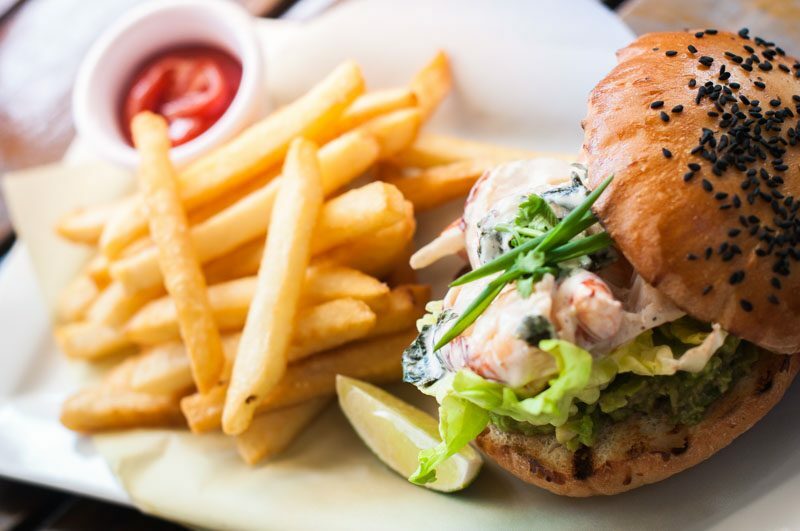 Moving on to the mains, the Lobster Bun ($38) is a huge burger filled with Maine lobster chunks dressed in lime mayonnaise. Each bite is velvety and creamy from the addition of the avocado pieces. It is sinfully rich and the thick cut fries makes the dish more substantial. The Market Fresh Fish of the Day ($35) features a Seabass with a wonderfully crisps skin. 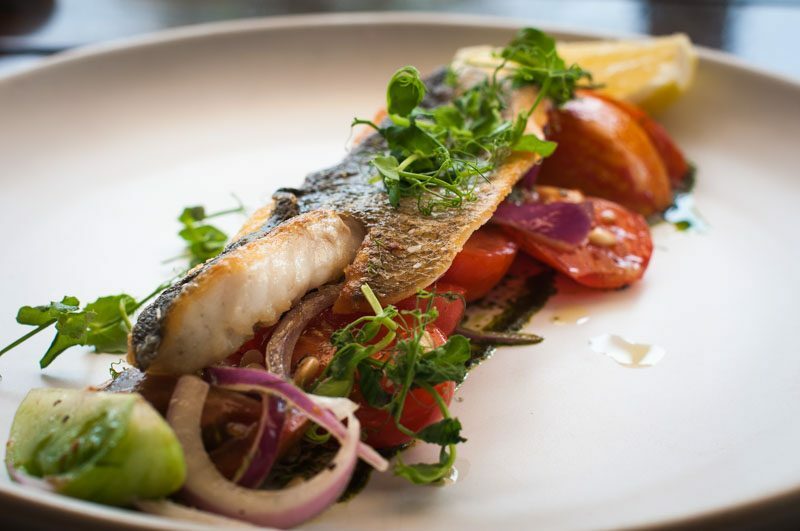 It sit on top a bed of tangy tomato and pine nut salsa, which adds a refreshing zest to the fresh fish. 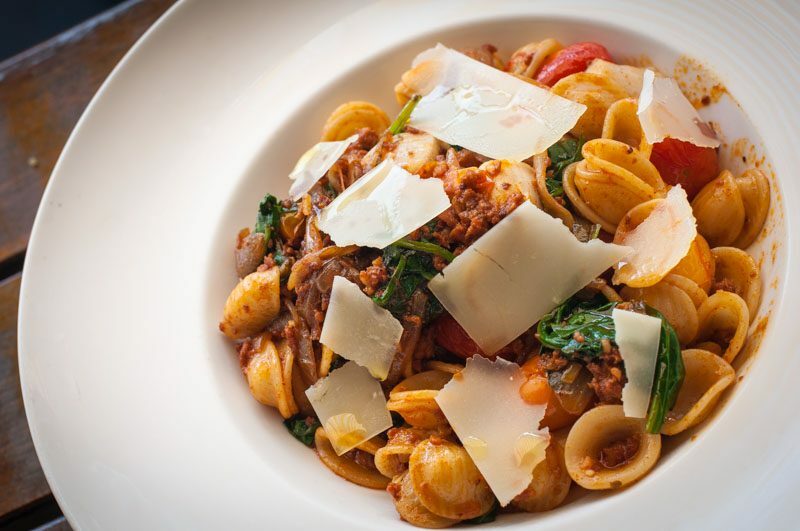 Another popular dish is the Orecchietta Chorizo ($33) which is a hearty portion of shell-shaped pasta with minced chorizo, hokkaido scallops and Parmigiano-Reggiano in basil and tomato sauce. It encompasses a melange of taste that will bring comfort to the soul and tummy. 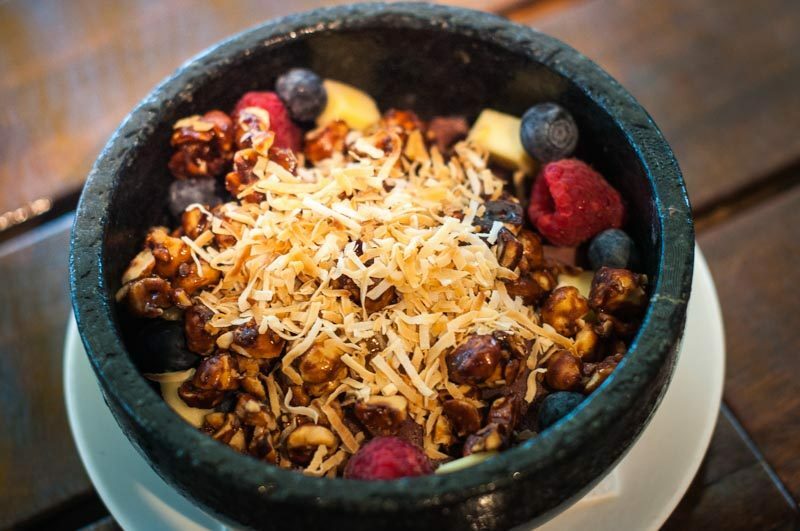 On weekends, indulge in this crowd-favourite fruity Acai Bowl ($21) which can’t go wrong with the abundance of Acai berries, raspberry, granola, Incai berry confit, blueberry, mango and toasted coconut. The base layer reminded me of a berry smoothie, icy and chilled. Definitely worth ordering if you want to beat off the heat. 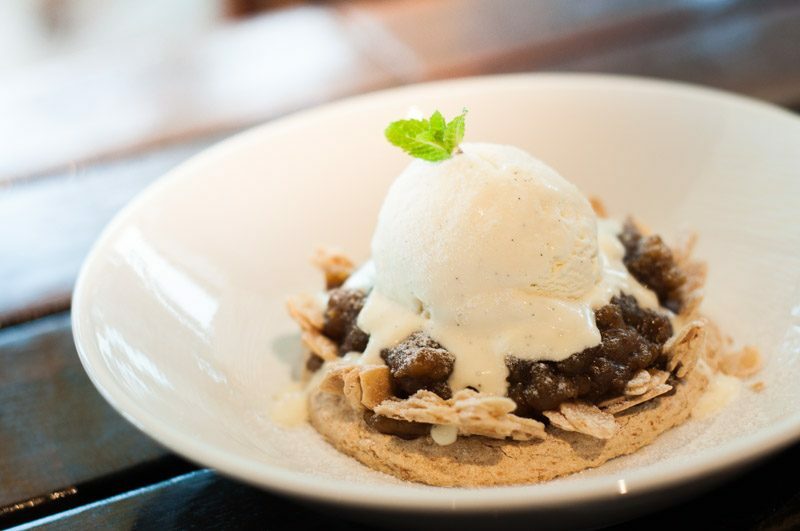 If you love banana, you should check out the Banana Coconut Tart Tatin ($16) with a layer of caramelised banana on almond crunch, topped with a vanilla ice cream. It is surprisingly not as sweet as we expected, great for those without a sweet tooth. 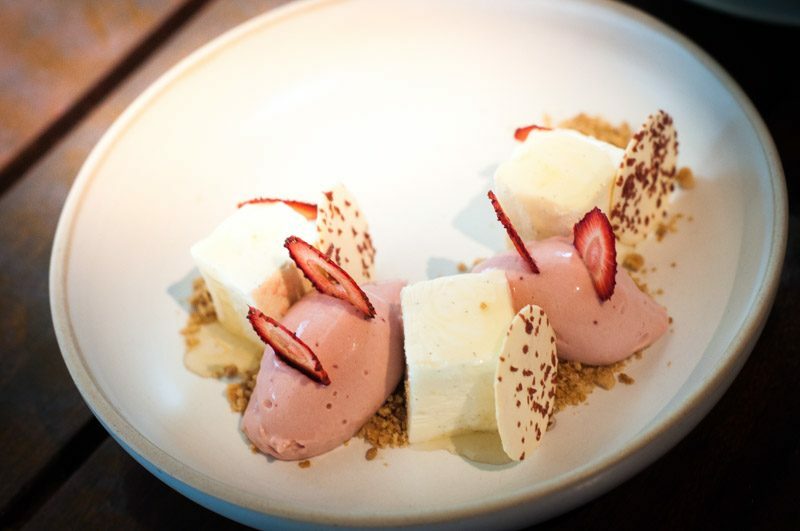 We were swept away by the beautifully plated Cheesecake with Strawberries ($15). The yogurt cheese mousse is light and smooth, which left us craving for more. I salivate at the mere thought of it. The most intriguing part of the meal was when the Hollywood Punch ($23 Single, $46 Double) was served on our table. Garnering lots of “oo’s” and “aah’s” from us. 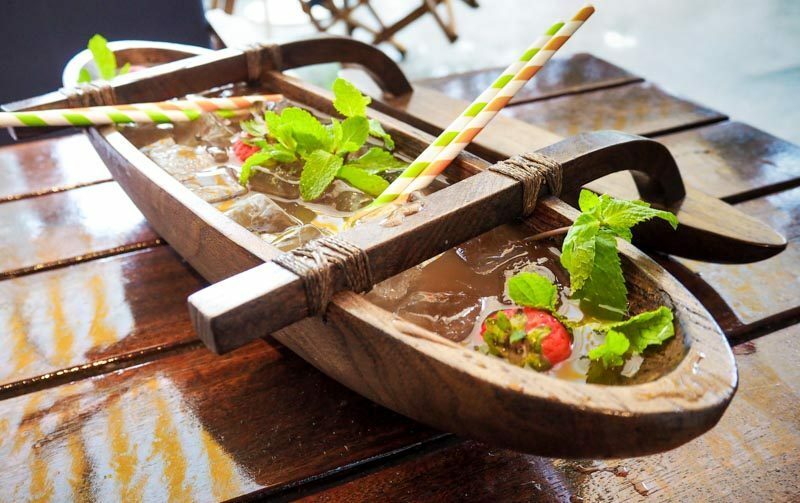 Came served in a huge ‘boat’, it is a secret concoction of Havana three and seven year Rum, St. George’s Absinthe, cold drip coffee, coconut water, orgeat syrup, pineapple, banana. Topped with some strawberries and mint leaves. An insane portion and a lethal potion. Best shared among drinkers alike. 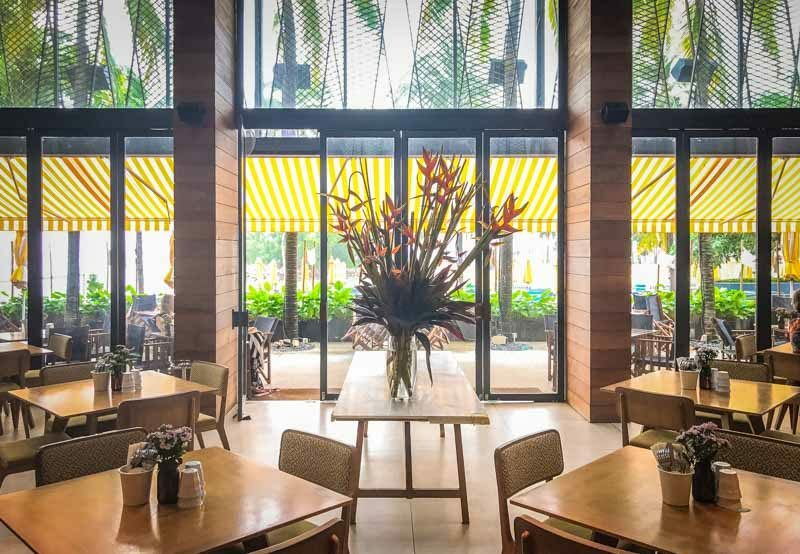 Now, there is an excuse to make a trip to Tanjong Beach Club to enjoy seafood, a good brunch date, cocktails and a view of the sea. This will be your choice destination. Secretly a wild child who drinks but never gets drunk. A soft spot for anything furry, flowy egg yolks and matcha.